I offer this as proof that I’m not totally writing off Calvin, just his overzealous followers. 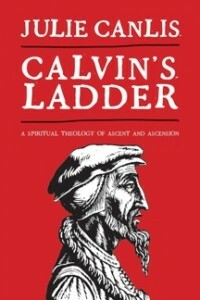 This review of Canlis’ book suggests that at least one of my suspicions about Calvin is true – that he’s at his best when he writes in (quasi-Neoplatonic) concert with the Church Fathers about mystical ascent, and at his worst when it comes to predestination, politics and Servetus. I think it’s fair to say that most Calvinists have only picked up on the predestination part. 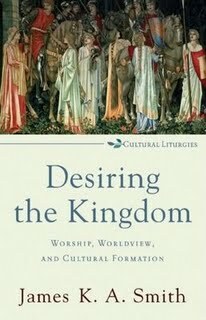 I’ve only read an excerpt of this book, but what I read was pretty good in terms of rethinking the relationship of Christianity and culture. We also saw Andy Crouch give a great lecture about the church and the arts where he talked about Tom Waits, so that seems like a good sign that this book is worthy of the hype it got in some circles. This is a classic in terms of Christian cultural engagement from the Catholic perspective which I have perused but never read in full. De Lubac is most often noted for his recovery of the “four levels” of meaning in Scripture, but he wrote on a wide range of subjects using the insights of the Church Fathers to chart a course for the contemporary church. 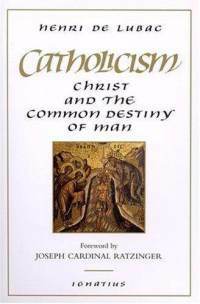 He was also a good friend of Hans Urs von Balthasar, which is always a good thing. I can’t believe I haven’t read this yet… alongside Graham Greene’s “The Power and the Glory” and the collected works of Flannery O’Connor, it’s supposed to be among the best works of contemporary Catholic fiction. Also, on our honeymoon our hotel was on the Rue Georges Bernanos in Paris, which must have been a sign. I have never been wild about the idea of a “Christian worldview” – what does that even mean? – and from what I can tell Smith, who teaches at Calvin College and is one of the sharpest exponents of the Reformed tradition around these days, critically re-examines this concept and suggests some alternate ways forward. I just found out he is teaching a basic degree course at Trinity College this summer, so maybe I’ll get to meet him one of these days… anyways, it’s a very well-reviewed and influential book.